can u get old boy as john? John's original hair looks like a mop duster. Glad it's gone! 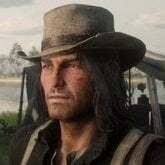 Maybe you can even get john gambler hat back ? the one he has when he work at the ranch in epilogue part 1 IIRC. Yeah I know but I passed that mission already and I don't want to start all over again just for this hat. I can confirm yes, if you put the off hand holster it disappear. Yes you can save it as an outfit with a save editor but it won't be added to the hats in the wardrobe unfortunately. i need this horse glitch explained properly in steps and detailed, its simply too vague to know what to do. like, where exactly to go, what exactly to do, and where to find the horse. From what I understand, find an npc on a horse in the wild, anger them so they'll be a red dot on the mini map, lasso them off the horse and shoot them in the foot so their horse runs away then ride off for a bit and return. The NPC should be on a random horse now. 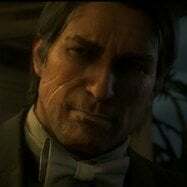 Can you get Arthur's horse back as John, the very first one, brown with a bite of white? I'd imagine so yes. I thought that was a common horse though? Didn't know it was unique. just did the glitch and got an "albino" arabian. looks pretty cool but it 0aint old boy. are you sure the gang horses can spawn if your john? ive gotten rare horses but as far as i know, no gang ones.